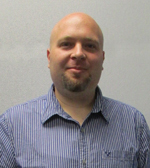 FSIP’s expert on the Xtender Battery Regenerator is Matt Potter, Application Specialist. His extensive technical background enables Matt to fully assist companies with choosing the best battery regeneration system to fit their unique business. Whether you want to simply save money on battery purchases by restoring old batteries and extending their lifespan, or you wish to increase revenue by offering battery regeneration to your customers, Matt can guide you through the process of choosing the optimum Xtender system for your needs. To learn how your business can benefit from the Xtender Battery Regenerator, contact us at xtender@fsip.biz or call 1-800-333-1194.